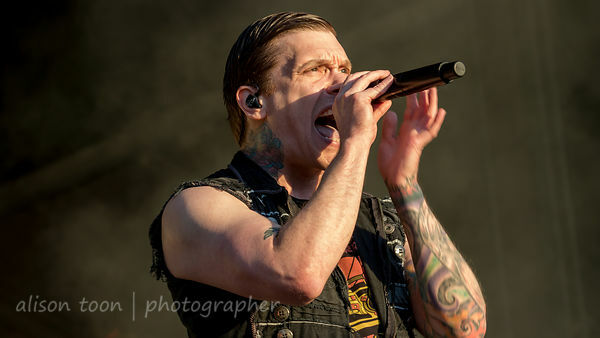 Toon's Tunes : Aftershock: Shinedown photos--and upcoming UK/European/USA tour! 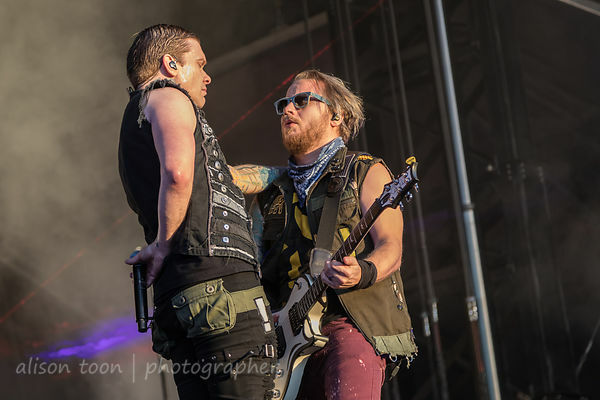 Aftershock: Shinedown photos--and upcoming UK/European/USA tour! Link to the full photogallery is at the end of this post. Shinedown took the stage at Aftershock late afternoon, 5.55 pm on Saturday: the sun was still glaring, in-your-eyes bright, but the band was the first of the day with a visible lightshow that grew better and better during the show, as the California sun set, gold and warm, behind the crowd. Huge crowd, and Brent Smith was off to meet them all, down into the crowd, third song into the set. This was Shinedown's third appearance at Aftershock festival in Sacramento, California so far, and each performance has been as different as could be: the first, back in 2013, when they shocked-and-awed the crowd with an over-the-top, jaw-dropping, fantasy pyro show; the second, in 2015, where the boys looked more like college kids smartened up for Sunday dinner with a few flames thrown in here and there... and now Aftershock 2018, with lasers and mist and the background an intricate construction of lighting rigs. Whatever the format, Shinedown always delivers an excellent performance. I'll be seeing them again soon in Norfolk, England, UK, at the local university, and am already wondering what the show will be like in a smaller venue. Can't wait. Click here for the setlist from Aftershock 2018, and right here for the full photogallery. Here's the review from Shinedown's latest album, Attention Attention. 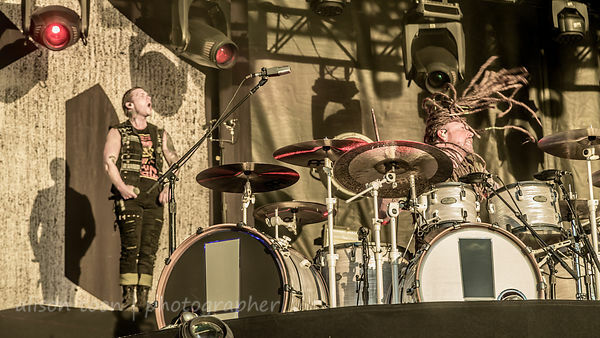 All of Toon's Tunes/Cameras and Cargos Shinedown photogalleries are here!